Canopy Innovations, Inc. envisions a world without communication barriers; our mission is to improve the quality of care for language-minority patients and to support the clinicians who serve them. Through the establishment of an Affinity Partnership, AOA and Canopy intend to work together to raise awareness in the healthcare community about the communication barrier, to equip frontline clinicians and administrative professionals alike with highly effective tools, and to ultimately elevate the quality of care for the underserved communities. 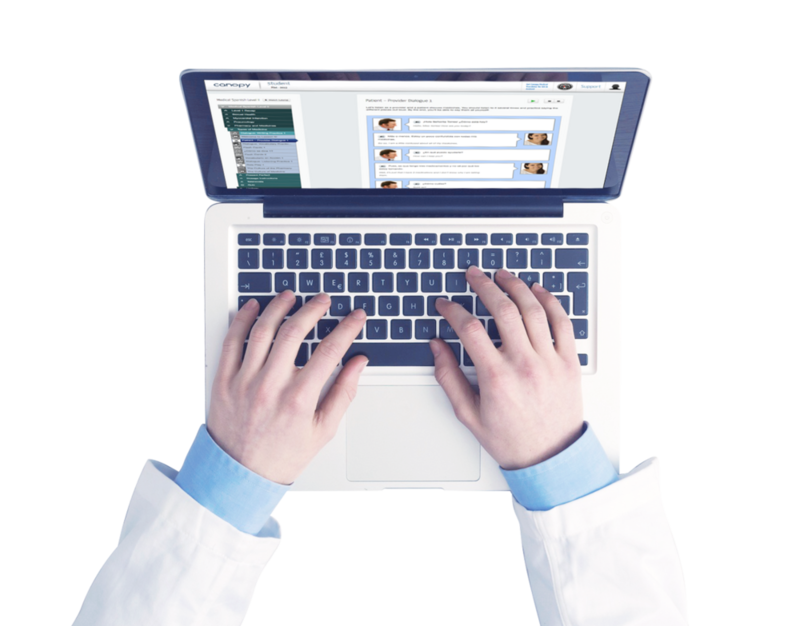 Canopy Learn, developed with support from the NIH, is an online medical Spanish course that teaches specialized medical concepts and terminology across a wide spectrum of commonly-encountered clinical scenarios, enabling providers to establish a rapport with their Spanish-speaking patients, utilizing essential conversation skills to eliminate communication friction. Canopy Learn is powered by a research-validated pedagogy, a rich array of interactive exercises, a highly engaging medical telenovela, and a focus on common practitioner-patient interactions. The course is self-paced and is spread over 36 lessons. Its modular lesson design — which presents materials in several increments within each lesson — fits well into users’ busy schedules. Subscribe with your discount and save $100!